Do you suffer from fear and dental anxiety at the mere thought of having any dental treatment? Does the idea of having a filling bring you out in a cold sweat? Here at Infinity Dental Clinic, our professional and caring approach will put you at ease. Our aim is for you to leave with a smile on your face! Intravenous sedation in dentistry is a useful technique to help anxious patients undergo a stress-free dental procedure. 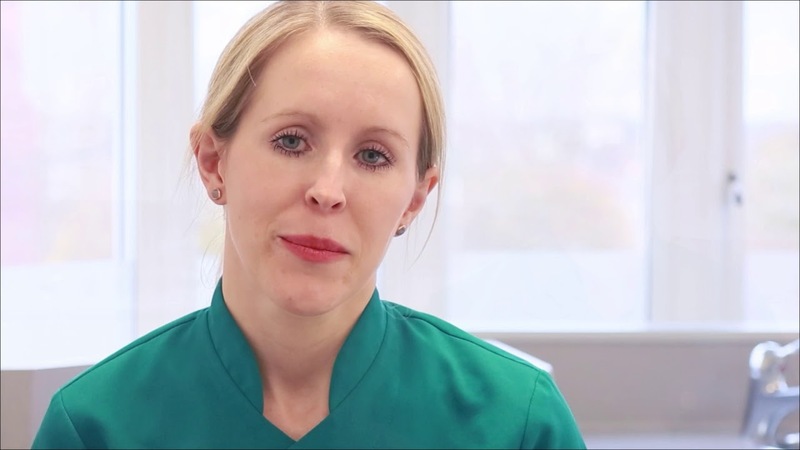 Dr Hannah Wilson is experienced at treating patients with dental phobia using intravenous sedation. Intravenous (IV) sedation is one of the most common ways to help nervous patients deal with dental anxiety. IV sedation is a safe and effective way for nervous patients to undergo dental treatment. It involves the use of midazolam administered through a cannula in the back of the hand or arm. Midazolam is an effective anti-anxiety sedative. It induces a deep state of relaxation and a feeling of calm. IV sedation causes short term amnesia, and so you will have little or no recollection of the dental procedure. You will remain conscious throughout the treatment and be able to respond to questions and requests. Time will feel like it passed very quickly and may make you feel as if you were ‘asleep’. Dental sedation is an ideal way to help you relax whilst undergoing your dental treatment. It allows you to dissociate yourself from the noise and vibration of the drill or other procedure. Even patients who are not nervous may wish to consider IV sedation whilst undergoing certain lengthy, more invasive procedures. Midazolam is an extremely safe drug when administered by a specially trained professional. Before undergoing IV sedation, you will require a sedation assessment. Dr Wilson will take a full medical and social history and complete the consent forms, ensuring you are fully informed. A thin plastic cannula is placed in the back of the hand or the arm. Midazolam is then administered, which will quickly make you feel sleepy and relaxed. Throughout the procedure we will monitor your pulse, oxygen levels and blood pressure. Local anaesthetic will still be required to numb your tooth. However, this is administered after you are sedated so you will not be aware of it. You are likely to feel drowsy, disorientated and forgetful for a few hours as it takes time for the effects of the sedation to wear off. Inhalation sedation, otherwise known as ‘happy air’, can be used in children when undergoing dental treatment as an alternative to general anaesthetic in the hospital. This is normally provided through our referral pathway. Please ask for further information.